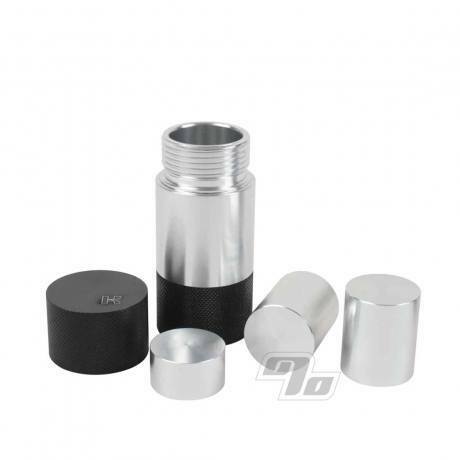 Larger all aluminum Pollen Press is exactly what you need to if you are collecting a good amount of pollen from your Kannastor grinder/sifters, GR8TR and/or RYOT pollen boxes. Easily make discs of herbal concoctions and remedies by adding extracted essences with a twist of the ends to press tightly. Also works great with Space Case grinders/sifters. 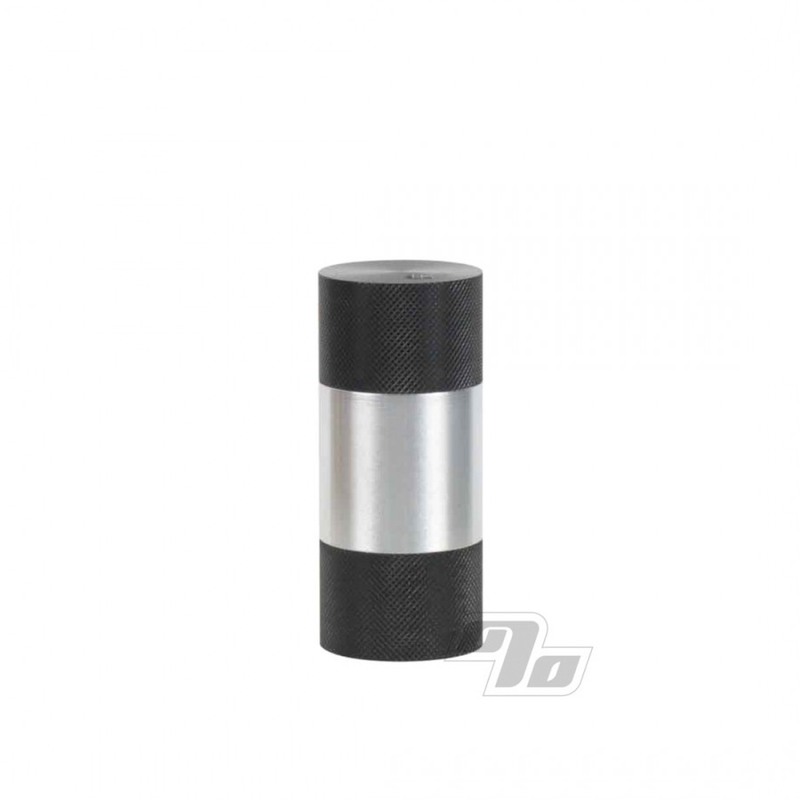 2.5" long, 1" diameter with black anodized aluminum knurled ends and precision aluminum dowels inside to press without sticking to your concoction. Throw in the freezer for a few minutes when ready to extract and your kif pops right off the dowels. Easier to clean than plastic dowels and no chance of warping. Press pollen down to a stable little tab. I wish the threads were finer ( make it easy to get it squashed hard ) Very nice product. Great Product, Works Really Well!! I love Kanistor. All their products are top of the line!!! This press is great. Makes perfect discs..
Ok I can make discs... now what?